Each appointment will take effect from 1 April 2013. New appointments to England’s National Park Authorities and the Broads Authority have been made by Secretary of State for Environment, Food and Rural Affairs, Owen Paterson. The post-holders are the national voice on the Authorities, which have strategic responsibility for conservation, recreation, planning, access and resources. Additional information regarding the members listed will be made available on the individual Authority websites via: www.nationalparks.gov.uk/index.htm. 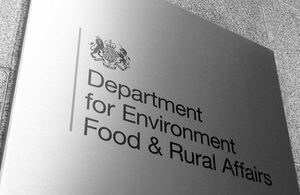 For information about National Park Authorities, including appointments, visit: www.defra.gov.uk/rural/national-parks/.